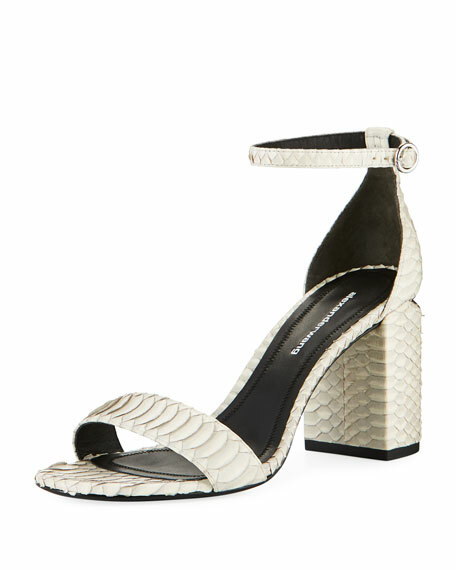 Fendi sandals in textured fabric. 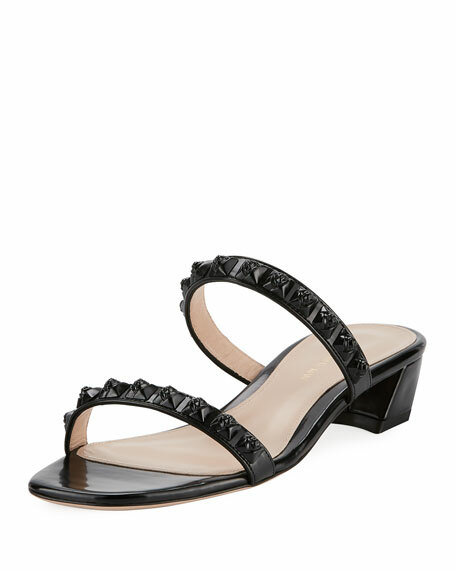 Stuart Weitzman fabric and leather sandal with tonal rosette studs. 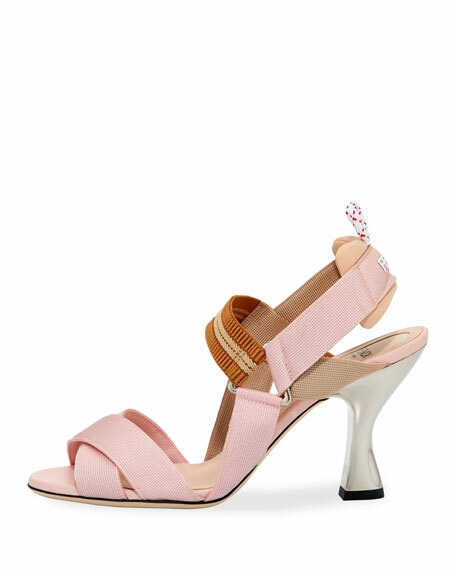 1" covered block heel. Two-band vamp. Leather lining. Slide-on style. "Stella" is made in Spain.